A critical-care physician at Eastern Virginia Medical School has found what he believes is a cure for sepsis. The discovery came by accident as Paul Marik, MBBCh, was treating a patient who was dying of sepsis. Below is the treatment protocol (current as of March 2017), a link to the study in the journal CHEST and background materials for medical professionals and media professionals. Read more in the EVMS digital magazine. See coverage from NPR and in The Virginian-Pilot. Vitamin C: 1.5 g IV q 6 hourly for 4 days or until discharge from the ICU. Hydrocortisone: 50mg IV q 6 hourly for 4 days or until discharge from the ICU. Taper is not required. Thiamine: 200mg IV q 12 hourly for 4 days or until discharge from the ICU. Alternative dosing: 100mg IV q 6 hourly for 4 days. Read the entire Marik sepsis protocol. Read the research study in the journal CHEST: Hydrocortisone, vitamin C and Thiamine for the Treatment of Severe Sepsis and Septic Shock: A Retrospective Before-After Study. Biographical and professional information for lead author, Dr. Paul Marik. If you use this footage, please reference it as: Courtesy of Eastern Virginia Medical School. 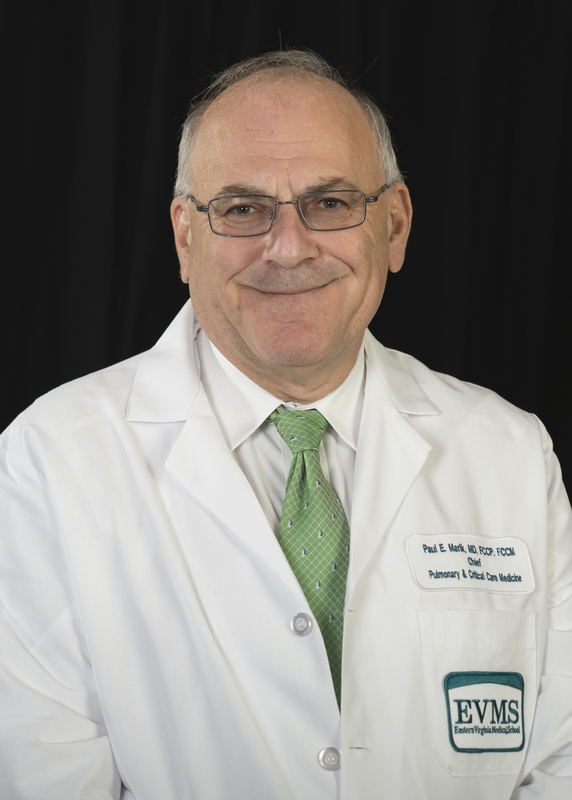 Paul E. Marik, MBBCh Chief, Pulmonary and Critical Care Medicine. Dr. Marik in the ICU. Evidence of the effectiveness of this new treatment is nothing short of astounding. In a retrospective study, published in CHEST, Dr. Marik and his co-authors compared two groups  treated in the same ICU  before and after discovery of Dr. Marik’s vitamin C protocol. Before the treatment was available, 19 of 47 patients diagnosed with sepsis died from the disease. In contrast, there were no deaths from sepsis among a different group of 47 patients who received the new treatment. A laboratory analysis conducted by scientists at Old Dominion University independently confirmed the treatment’s effectiveness. Sepsis is a life-threatening complication resulting from an infection. More than 250,000 people in the United States die from sepsis annually, according to the Sepsis Alliance. It is the most common cause of death among hospitalized patients in the U.S. The Global Sepsis Alliance estimates that eight million people die worldwide as a result of sepsis each year. Kurt Hofelich, President of Sentara Norfolk General Hospital, was equally impressed. Pharmaceutical companies have sought a cure for decades and have spent billions in the process. Dr. Marik’s discovery was the result of a medical hunch as part of a desperate attempt to save a patient. Like critical-care physicians everywhere, Dr. Marik used to be locked in a life-and-death struggle with sepsis. Despite evidence-based, best-practice efforts, one or more people under his care died each week from sepsis. That all changed unexpectedly January 5, 2016. It just so happened that a few weeks earlier he had read about vitamin C as a possible treatment for sepsis. Dr. Marik knew that septic patients have little or undetectable levels of vitamin C in their cells. He also knew that vitamin C and steroids work similarly and that they would not hurt the patient. In a desperate attempt to save his patient, Dr. Marik asked nurses to combine the vitamin C and steroids and inject them intravenously. Within hours, the patient was recovering. Two days later she was well enough to leave the ICU. In the following days, Dr. Marik and his team treated two more patients seemingly destined to die of sepsis. Twice more the patients recovered. Dr. Marik and his team began using the combination therapy regularly, later adding thiamine to the mix because sick patients often are deficient in thiamine and because thiamine helps cells absorb vitamin C.
To further validate his findings, Dr. Marik turned to a scientist who has spent much of his career studying sepsis: John Catravas, PhD, Interim Executive Director and Sentara Endowed Chair of the Frank Reidy Research Center for Bioelectrics at Old Dominion University. Dr. Catravas has a particular interest in the “barrier function” of endothelial cells. Normally, endothelial cells permit air to mix with blood in the lungs while blocking the passage of fluids. When the cells malfunction and lose their compactness, Dr. Catravas says, fluid can leak into the lungs and displace the air. This condition, known as pulmonary edema, can lead to hypoxemia  a primary cause of death from sepsis. To test the Dr. Marik’s protocol in his lab, Dr. Catravas used endothelial cells cultured from human lung tissue and exposed them to the endotoxin commonly found in septic patients. As expected the endothelial cells lost their compactness. When Dr. Catravas added vitamin C or the steroids with the endotoxin, he saw much the same reaction. But when he added both vitamin C and steroids, the combination quickly counteracted the endotoxin. “The cells repair themselves,” Dr. Catravas says, likening it to the “holy grail” in sepsis care. Mr. Hofelich says Sentara is expanding the hospital’s research into additional ICU environments in an effort to validate the benefits across a much larger patient population. “We hypothesize that this new treatment will evolve into a national best practice and a new standard of care for patients with sepsis in an ICU level of care environment,” Mr. Hofelich says. Dr. Marik supports the need for further research. Dr. Marik is particularly excited that the treatment is inexpensive and readily available, even in developing nations countries. EVMS was founded by the community in 1973 to improve health through education, research and patient care. 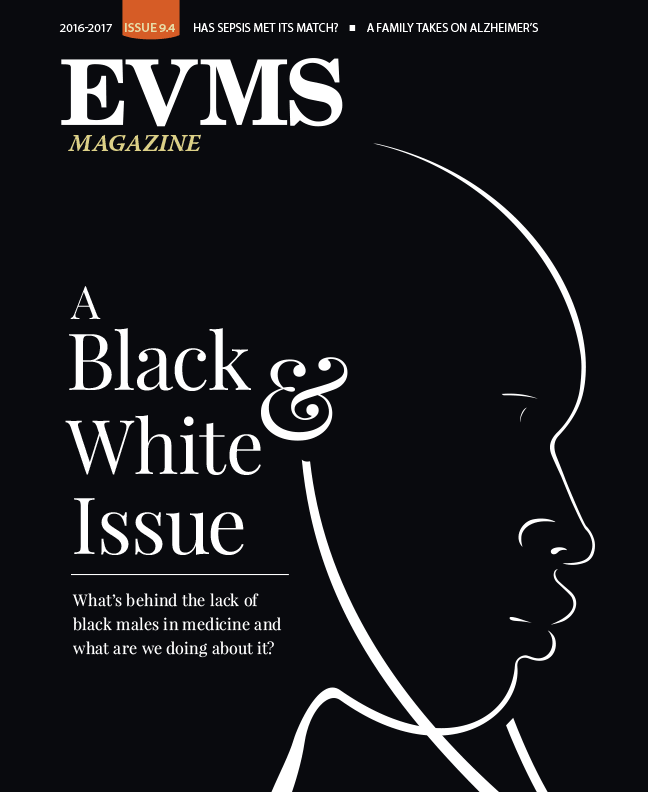 The collaborative culture at EVMS draws like-minded students and faculty from all over the country, encourages a multidisciplinary approach to health care and emphasizes translational research. In just 44 years, the school has grown from 24 students to an economic footprint exceeding $824 million annually in the region of southeastern Virginia known as Hampton Roads. Learn more at www.evms.edu. Sentara Healthcare, based in Norfolk, VA, celebrates more than 125 years in pursuit of its mission to improve health every day. Sentara is an integrated not-for-profit system of 12 hospitals in Virginia and North Carolina, including a Level I trauma center with Nightingale Regional Air Ambulance. The Sentara family also includes four medical groups, ambulatory campuses, post-acute care services, the physician-led Sentara Quality Care Network, the Sentara College of Health Sciences, Optima Health Plan members in Virginia, Alabama and Ohio, and a team of professionals nearly 28,000 strong. Sentara is strategically focused on continuous improvement in quality, safety, innovation and the patient experience. For more information about Dr. Marik, please contact Doug Gardner.